This page is a constantly growing, organic list of useful links. 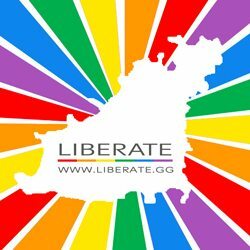 We’ve pooled our collective knowledge and experience to come up with a list of links that the LGBTQ community, their family, friends and carers will find informative, interesting, fun and incredibly useful. We’ve included travel and health advice, as well as radio stations and the latest LGBTQ news. 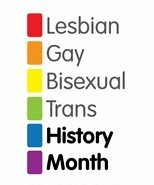 There are support groups, LGBTQ history sites, as well as legal advice and help in tackling homophobia, biphobia, transphobia, etc. The list of resources out there goes on and on, so have a look and let us know if you think we have missing out something important to you. You can do this using the contact form at the bottom of this page. Please send a brief description of the site and we’ll add it. We are hoping that some of these sites will encourage people to question social attitudes and behaviours which discriminate against LGBTQ people, and that they will inform and educate both the LGBTQ and wider community on a huge range of topics. Get Connected is the UK’s free, confidential and multi-issue helpline service for young people under 25 who need help, but don’t know where to turn. We help young people find a path to a brighter future. Transliving International offers a helpline, advice, information, counselling and a self-help support group for transvestites, transsexuals and their partners and families. Helpline, monthly social functions and a tri-annual international magazine for members.